A Thorn in the Flesh 2 Corinthians 12:1-10 1 I must go on boasting. Although there is nothing to be gained, I will go on to visions and revelations from. 3 7 or because of these surpassingly great revelations. 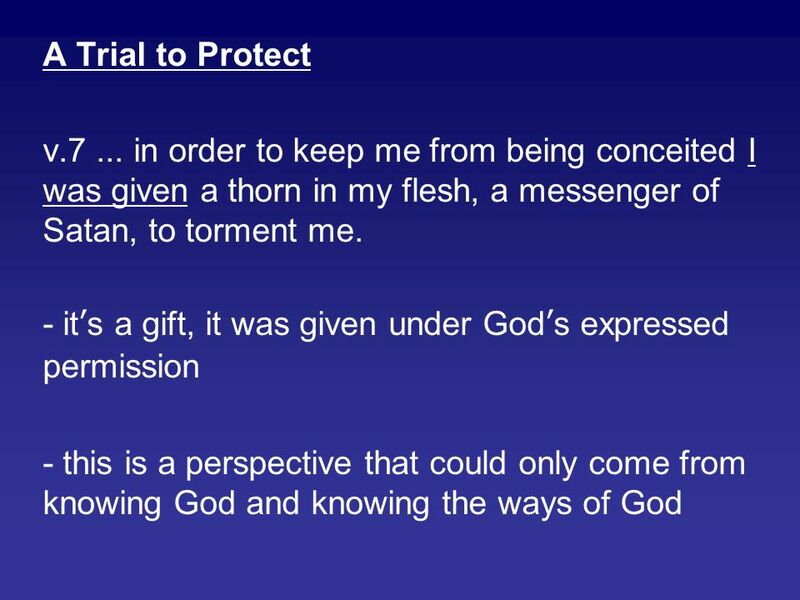 Therefore, in order to keep me from becoming conceited, I was given a thorn in my flesh, a messenger of Satan, to torment me. 8 Three times I pleaded with the Lord to take it away from me. 9 But he said to me, My grace is sufficient for you, for my power is made perfect in weakness. 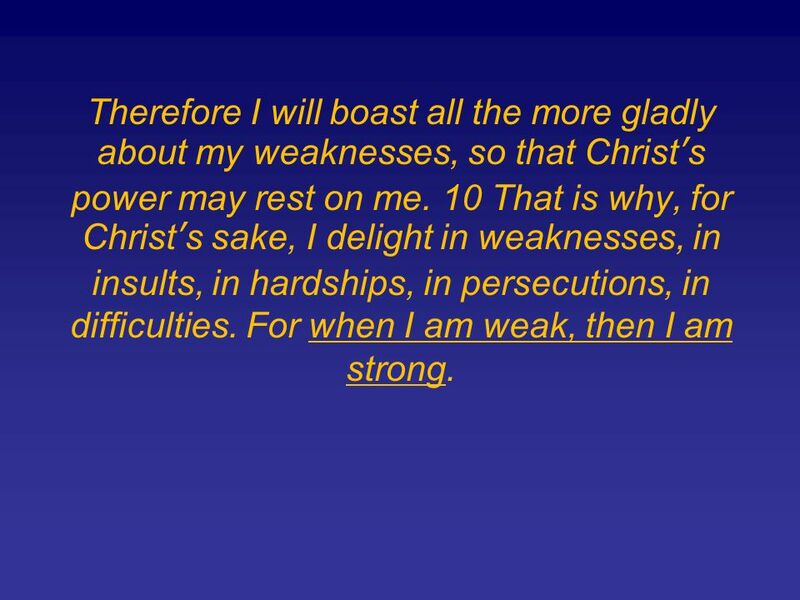 4 Therefore I will boast all the more gladly about my weaknesses, so that Christs power may rest on me. 10 That is why, for Christs sake, I delight in weaknesses, in insults, in hardships, in persecutions, in difficulties. For when I am weak, then I am strong. 10 Jeremiah 9:23-24 23 This is what the Lord says: "Let not the wise man boast of his wisdom or the strong man boast of his strength or the rich man boast of his riches, 24 but let him who boasts boast about this: that he understands and knows me, that I am the Lord, who exercises kindness, justice and righteousness on earth, for in these I delight, declares the Lord. - what usually brings us to know God in a deeper way is when we are stripped of those things that makes us think Im smart, Im rich, I'm strong. 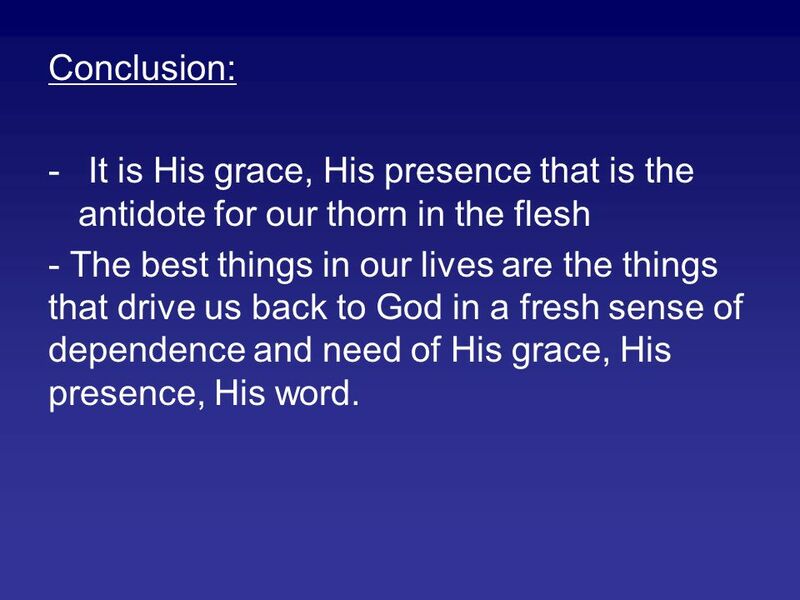 11 Conclusion: - It is His grace, His presence that is the antidote for our thorn in the flesh - The best things in our lives are the things that drive us back to God in a fresh sense of dependence and need of His grace, His presence, His word. 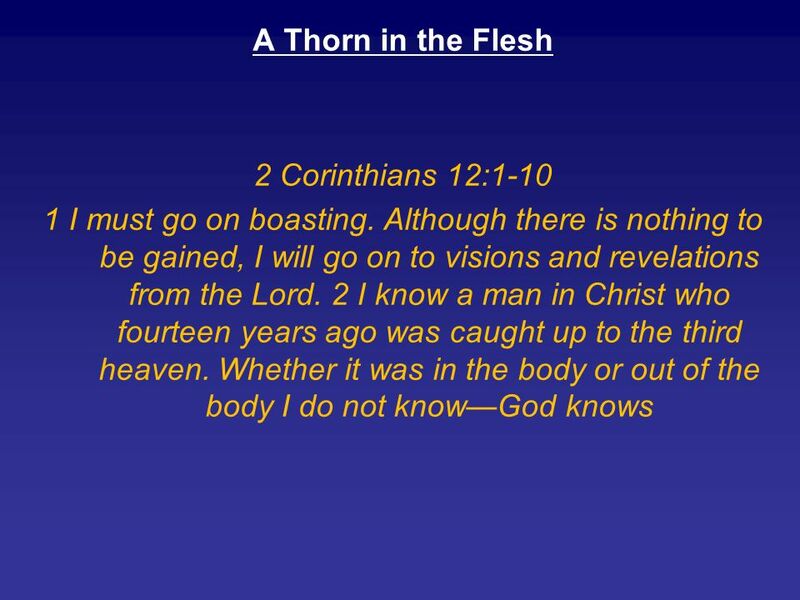 Download ppt "A Thorn in the Flesh 2 Corinthians 12:1-10 1 I must go on boasting. Although there is nothing to be gained, I will go on to visions and revelations from." 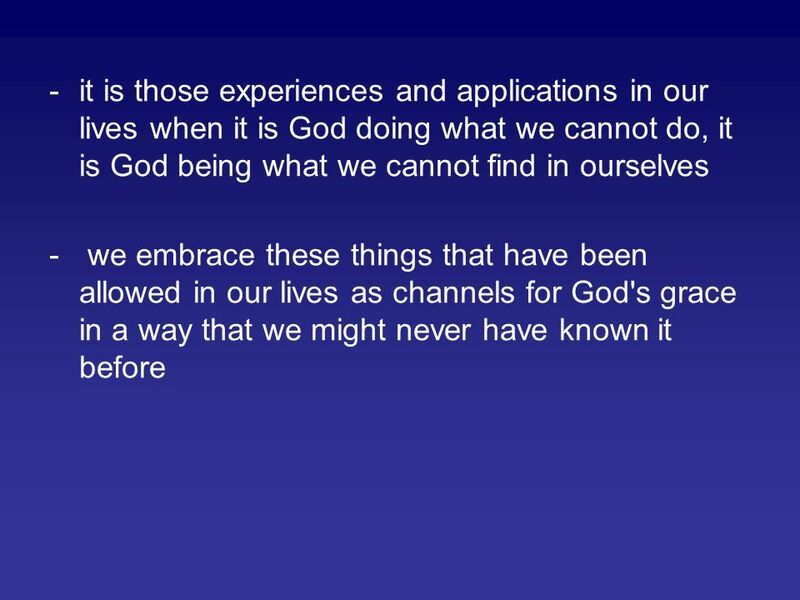 + “For When I am Weak, Then I am Strong” Kelly Steinhaus Journey Church 3/23/14. The Peace Chronicles Part III: The X-Factors For Personal Peace Pastor Joe Pursch Chinese Grace Bible Church Sunday, June 24, 2012. Lent 2012 “The Sign of Jesus” John 2: Corinthians 1:18-25. 7. Group Questions 1.Read “The Woodcutter’s Wisdom”. What does the old woodcutter teach us about ANXIETY? What does he teach us about CONTENTMENT? 2.Does. Exodus 4:11 Then the L ORD said to him, “Who has made man's mouth? Who makes him mute, or deaf, or seeing, or blind? Is it not I, the L ORD ? Genesis Teaches Tension: Limper Genesis 32:22-32. Your Question What do we make of the prayers of lament in the Bible and why don’t we engage them more? Life in His Story Part 5. 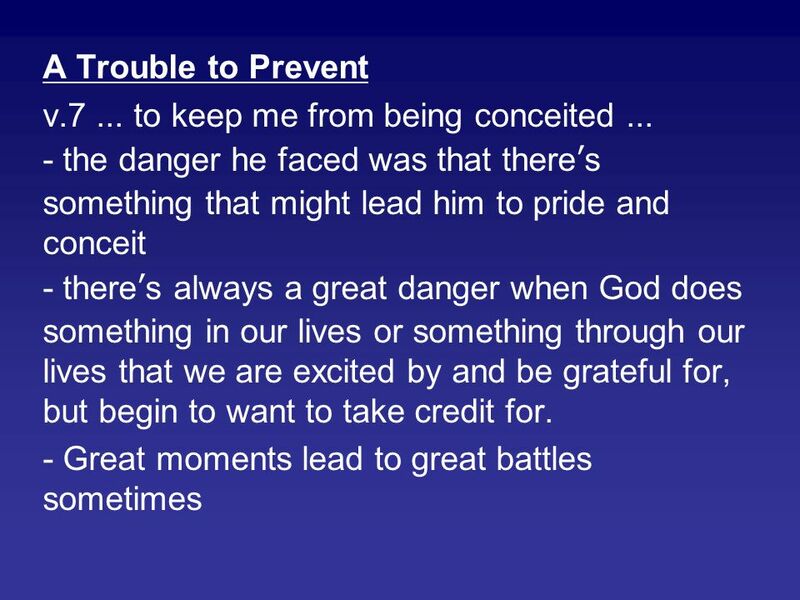 2 Corinthians 11:19-31 (NIV) 19 You gladly put up with fools since you are so wise! 20 In fact, you even put up with anyone. Brentwood Park Today’s Message Body Slammed AndTorpedoed II Cor. 11:21-12:12. 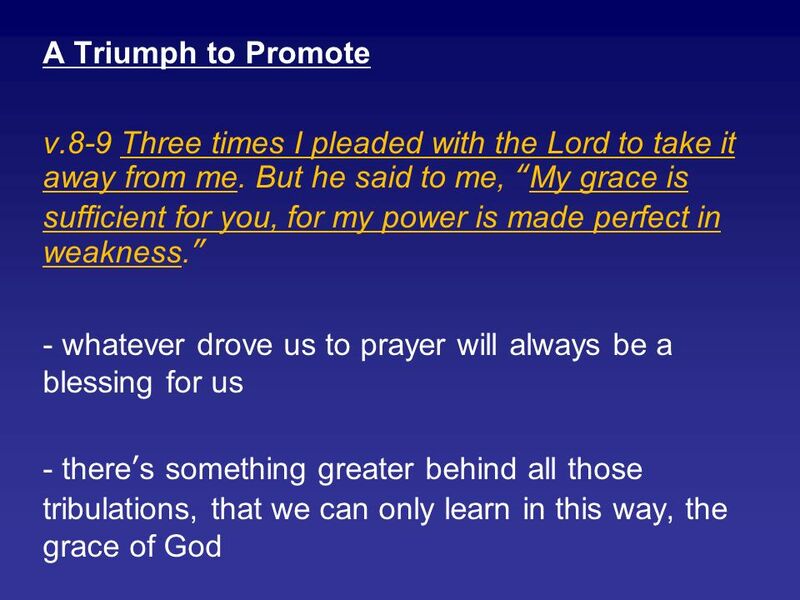 2 Corinthians Lesson 9 “"My grace is sufficient for you for power is perfected in weakness. "” 2 Cor. 12:9. 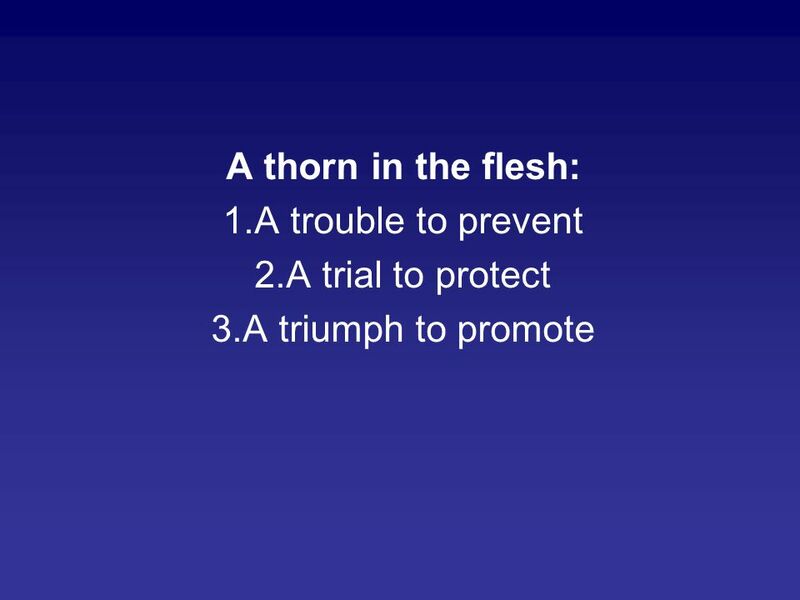 ABC’s of Understanding Paul’s Thorn in the Flesh 2 Cor. 12:3-9. “Consider it pure joy, my brothers, whenever you face trials of many kinds, because you know that the testing of your faith develops perseverance. 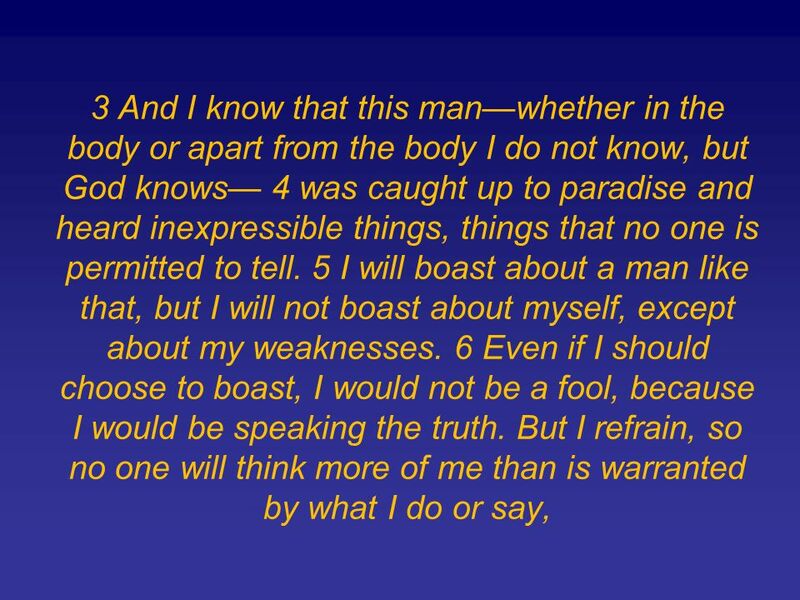 2 Corinthians 12:1-5 I must go on boasting. Although there is nothing to be gained, I will go on to visions and revelations from the Lord. I know a man. Don't Give Up! Don't EVER Give Up!. Heb 12:1 Therefore, since we are surrounded by such a great cloud of witnesses, let us throw off everything that hinders. A Theology of Suffering Job 1: Corinthians 12:6-10.